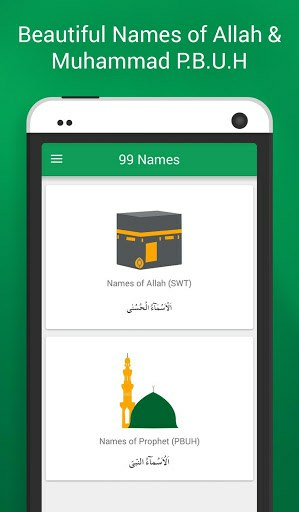 Quran Reading wishes you All a Very Happy and Blessed Ramadan 201799 Names is an Islamic Smartphone application that has been produced with an aim to let Muslims all over the world get familiar with the 99 Beautiful Names of Allah SWT (Asma ul Husna) and His Messenger, Hazrat Muhammad PBUH (Asma ul Nabi) each. 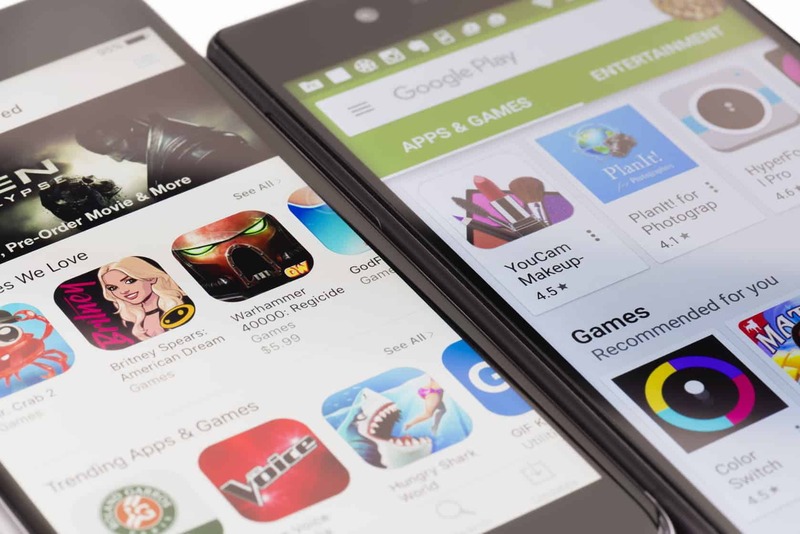 • Stunning Graphics both in the background and of the Fonts makes User Interface highly appealing. • Audio Narration creating a highly soulful and emotional effect on the hearts of the believers. • Easy Swap option is available to switch through Names without having to come back for selecting each Title again. 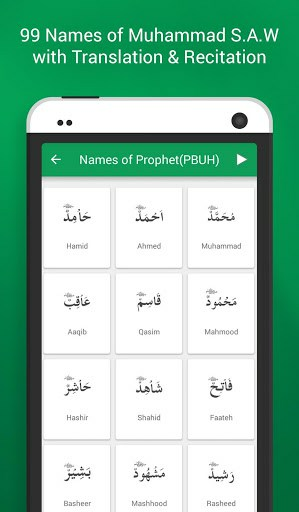 • All the 99 Names of the Almighty God and His Prophet PBUH are separately mentioned. • It also comes up with the General and Detail Meaning of these Beautiful Titles for user`s increased understanding. 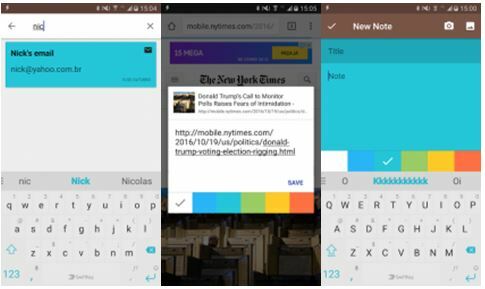 • Each Name besides the actual app can be individually shared via diverse range of Sharing Platforms. 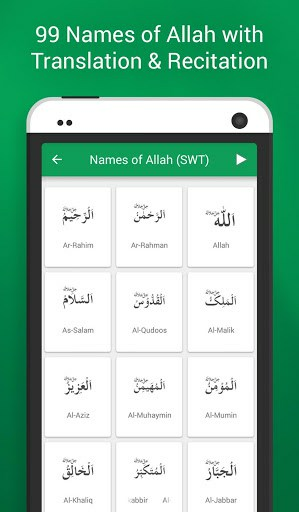 Download this at no cost and user-friendly mobile application containing all the Asma ul Husna and Asma ul Nabi so as to receive many of the blessings and tranquility from the Gracious God.